The Phantom Gallery Chicago Network is working in concert with the Bronzeville Arts District, to coordinate monthly Trolley Tours (June-September), third Friday Art Walks. There are membership fees and a hanging fee for exhibiting artist. (fee is determined by the length of the exhibit, space needs). The Phantom Gallery Chicago Network is located at the Bronzeville Artist Lofts, 440 E. 47th Street, Chicago Illinois. The gallery has two resident studios, 1,100sq ft Loft Gallery, a communal kitchen, and bath. There are secured entry and on-site laundry. This space is ideal for artists. This space is unique because of its an art environment, ideal for artists who may want a short-term residency in Chicago. Also, our loft is on the second floor of a commercial gallery that gives events, so be prepared on the weekends and in warmer weather to be fully engaged. Artists also host gatherings on the roof deck, and there is always something going on during the peak hours. Be prepared to have an eventful stay. Today, the neighborhood is seeing major community-driven revitalization efforts, mostly by wealthy and entrepreneurial African-Americans who value the neighborhood's historic importance. Historic clubs are reopening, and there are a handful of nice coffee shops and restaurants that have opened in recent years, 51st Street, and 43rd Street. While visiting us you are welcome to be part of our art openings, monthly Trolley Tours, and events hosted by Gallery Guichard our commercial ground level gallery, that is open to the public. 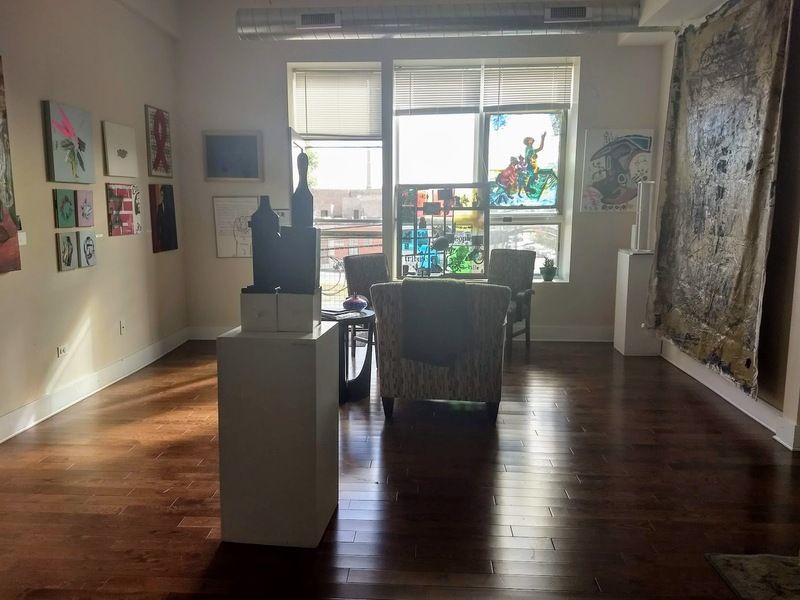 If you are a property manager, chamber business member, or owner of a storefront that is empty and would like to donate temporary use as a POP UP gallery while it is vacant please contact us by email. phantomgallerychicago@gmail.com. Every exhibit-site relationship has its own set of guidelines in terms of size, visibility, and other physical requirements. Typically you will supply all the materials as well as hardware for mounting your exhibit. You should be prepared to remove your work within 10 days should the space be rented or the space changed over. You must agree to leave each location in the same or better condition than you found it. Every exhibit is a one-of-a-kind experience that requires all parties to communicate about appropriate and inappropriate content for specific exhibit space. The Phantom Gallery does not censor any artist’s work but is sensitive to the needs and limitations of the property owners and particular locations. Art that will be visible from the sidewalk should abide by the content restrictions that apply to public art. Act as point of contact for artists, find and secure appropriate locations at no charge to the artist, schedule, and coordinate artists, provide publicity and marketing support for galleries. Provide Insurance. 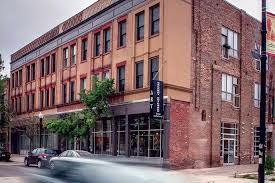 Commercial general liability insurance our policy covers more than one location, the general aggregate coverage applies per location and a COI is provided for to each storefront under the Phantom Gallery Chicago Network- Business Insurance Coverage.